Go North Music Festival will return to St. Joseph Island in Ontario this summer, and the lineup for the 2018 event has just been unveiled. 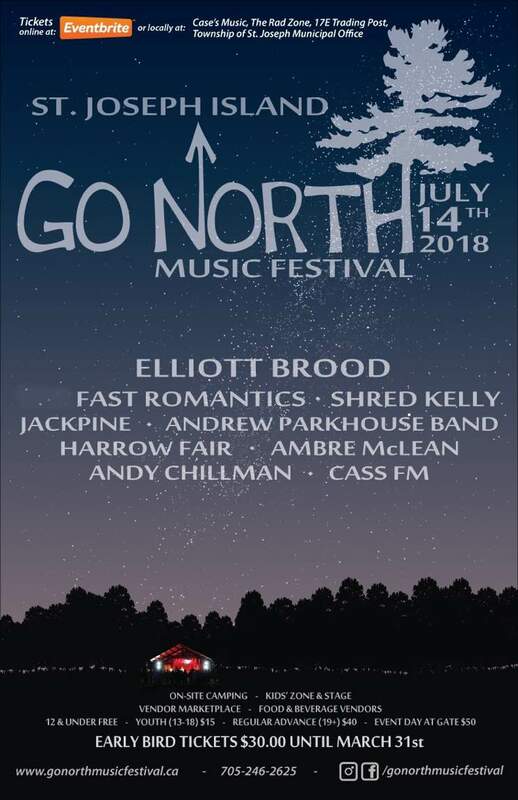 Elliott Brood will headline the one-day festival, while Fast Romantics, Shred Kelly, Jackpine, Andrew Parkhouse Band, Harrow Fair, Ambre McLean, Andy Chillman and Cass FM will round out the bill. The festival is set to take place on July 14 at the town's Centennial Grounds. Tickets for the event are on sale now, and will be available at an early bird rate of $30 until March 30. After that, advance tickets will cost $40, and tickets at the gate will be $50. Youth tickets for ages 13 to 18 are available for $15, while children 12 and under can get in for free. Find full information and purchase tickets here. Elliott Brood "Dig a Little Hole"